It’s that time of year again New York Knicks fans! It’s the end of the season wear the Knicks win meaningless games. For example, last night. The Knicks defeated the Chicago Bulls 113-105. The marks their 15th victory of the season. The Knicks own the worst record in the league at 15-62. Next is the Phoenix Suns at 18-60 then the Cleveland Calivers at 19-59. This now secures the Knicks with a chance at the number one overall pick in the draft. Each of the top 3 worst records teams have a 14% chance at getting the top pick. 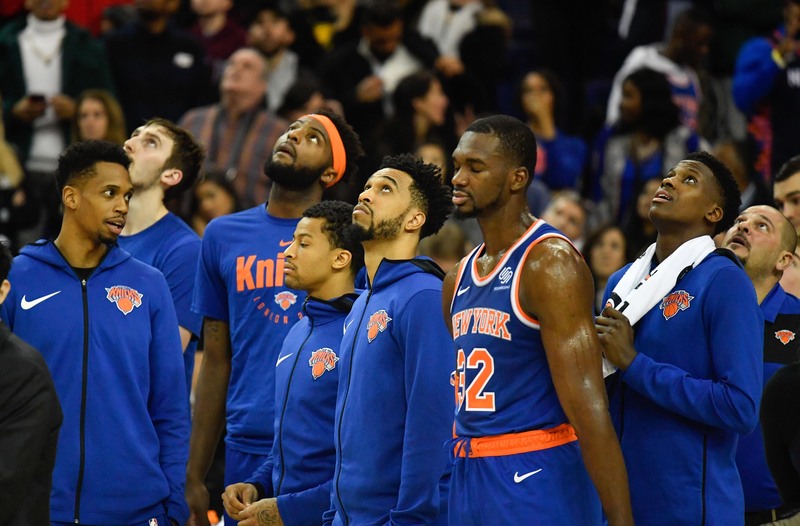 Despite the Knicks winning a meaningless game, I still find myself asking, “Why?” Fans have been telling me that “who cares about winning a game down the stretch. They still secured a top 3 chance at the first pick.” Rightfully so. But, we have seen this story before. How can fans forget the last two seasons when the Knicks, where the Knicks ending the season with a win and ruined their lottery chance. 2016-2017, they beat the Sixers in the final game 114-113, then 2017-2018 agains the Cavaliers 110-98. Some will look at that situation and have a different vision. The Knicks didn’t have a chance at a top 3 pick, but they had a chance to improve their pick and they decided to win. Not saying that winning is bad, but in certain situations it’s meaningless. I’d like to continue pilling up the losses, despite have the same odds at the top pick as the Suns and Cavaliers. No point to win now. I don’t want to here that stuff, “well it’ll be good juju or a good start going into next season.” Stop. With 5 games remaining in the season, the Knicks play 2 teams currently with a winning record, Pistons and Rockets. Do not be surprised when the Knicks squeak out one of two more games, especially the last game of the season. There seems to be a trend the last two seasons. With all that, the Knicks need to continue losing games. Some will say that it doesn’t mean anything, since we secured a top 3 chance at Zion Williamson. But, having the worst record in the league as to give the Knicks some good juju at landing the number one pick, right?